If you’ve downloaded our free map icons and are looking to insert a Google Maps link into it, then you’ve reached the right place. But, before we begin, it’s important to know exactly what a Google Maps link is and why you should use it in your email signature. What is a Google Maps link? A Google Maps link is a hyperlink which you can get from the Google Maps platform which links to your exact physical location. So, when someone (ie. your recipients) clicks on the link, they will be shown your location on Google Maps. When should Google Maps links be used in email signatures? 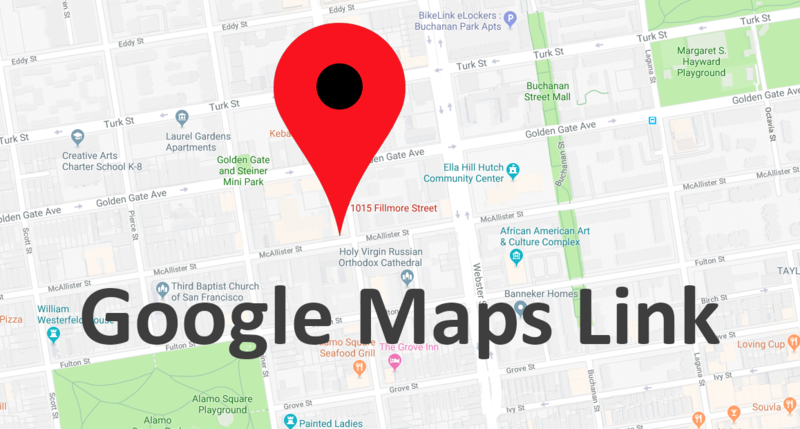 If you’ve got a map icon (looks like a dropped pin) in your email signature then you will likely want to use a Google Maps link with it so when someone clicks on it, they will be taken to your location on Google Maps. Why use a Google Maps link in email signatures? Well, it’s mostly for convenience. It also shows your exact office location, so there is no chance for miscommunication. Plus, when clicking the link on your mobile phone, it will automatically open Google Maps and you can also start navigation. Simply follow the steps below to get your Google Maps link and insert it into your email signature. 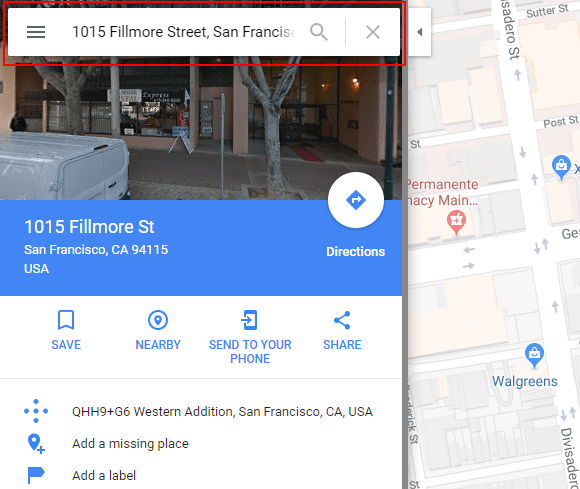 Open Google Maps and search for your address in the search bar. For example, 1015 Fillmore St, San Francisco, CA 94115, USA. You will then be shown a dropped pin of your location (according to Google). Double check that the location is 100% correct, then click the Share button on the left. Click the Copy Link button. This will copy the shortened link to your clipboard. If you’re using Gimmio to manage your email signatures, simply log in, select your signature, click on the map icon from the preview on the right, and then paste the Google Maps link on the left-hand side in the field hyperlink section. If you’re adding the link manually to your email signature, it can be quite complicated to get it right. Take a look at our how-to video and also check out our concise article on how to add hyperlinks to email signatures.